To cope with the increased demand for air travel, authorities of the aviation industry will need to put on their thinking hats to implement new processes and technologies. According to Airports Council International (ACI), air passenger numbers are predicted to exceed 22 billion by 2040, a near tripling of the 7.6 billion air travelers in 2016. It should be noted that the largest demand for air travel will be routes to, from and within the Asia-Pacific region. This creates pressure for air travel and tourism players within the region to better their end-to-end travel facilities and air carrier services and the attractiveness of the country destinations. Not only is the aviation sector required to serve increasing volumes, but passengers are increasingly becoming more discerning and demanding of the level of service they receive. It is forecasted that major airports by passenger volume need major infrastructure developments in the next decade to keep pace with projected growth. However, given the tight timelines for these projects and the scarcity of funding and space, it is unlikely that airports will expand as required within the timeframe. The solution is to seek out new technologies and processes and make changes to the airport in the context of the passenger’s end-to-end journey. Successful aviation planning is defined by adopting a forward-looking approach for potential investment in on-ground infrastructure, and one that provides for operational improvements and passenger capacity growth. Planners are not just looking at the transformation of airports, but the complete ground journey experience that moves through the airport – the passenger, the baggage cargo and the aircraft. Not all airports have the same interface and characteristics, as decisions are made based on the country’s economic climate, circumstances and complexity of transport movement. One key element in enabling ground facilities to cope with huge increase in passenger volumes, and in the case of land-scarce countries such as Singapore and Hong Kong, aviation planners try to move as many processes as possible ‘off airport’. There are virtual and physical components to this strategy. From the onset of aviation planning, government and authorities will need to embrace moving travel authorizations and customs controls to a digital environment, from the time of booking through to departures/arrivals. Airlines and airports also have a crucial role to play in ensuring data exchanges and integration take place, thus minimizing the need for physical document checks at the immigration. For the airport’s infrastructure, all people moving systems will need to conveniently connect airports to the cities they serve. Prevalent in some cities, passengers could even begin their journey from secured entry gates (trains and bus stations) within the city, bypassing the need for processes within the airport terminal building. Linking the airport is the first step toward distributing transportation channels. Passenger interface systems in airports are taking huge strides forward, thanks to predictive modeling (use of statistics to predict outcomes) and artificial intelligence that crunch real-time data far swifter than any human. Being aware of changes to a passenger’s journey or their baggage will enable airport, airline, ground handler and all other stakeholders to optimize the decision-making process across the entire value chain. Consistent definitions and a workable interface for information-sharing and data mining is vital. A passenger could turn to several touchpoints – staff, website, mobile applications, customers’ information desk – for a flight update and get several different answers. Hence, deploying more sophisticated real-time passenger interface systems will facilitate greater choice and flexibility for customers, and at the same time, increased process efficiency and trigger compliance and security. When a virtual airport is created, it means that some digital activities can be undertaken beyond the offers of the airport. Human capacity can potentially be added without the need for a physically bigger airport. The next few sections will discuss key trends that airport planners need to look out for when designing smart airports. There are many factors to consider when airport planners design smart airports – ease of movement throughout the airport, efficiency and seamless integration of passenger processing touchpoints, as well as large scale sharing of information between airport operator, airlines, ground handlers and support organizations, thereby ensuring timely flight departures and arrivals. Planners are given the uphill task of making sure that passengers’ airport experience and satisfaction index constantly remain a mark above the rest, even as increasing passenger traffic puts strains on the capacity of various processing touchpoints. As part of the launch of the Fast and Seamless Travel (FAST) transformation program at Singapore Changi Airport, Changi Airport Group (CAG) has introduced the new automated bag-drop machines at the self-service luggage check-in facilities, located at the airport’s newest terminal, Terminal 4 (T4). 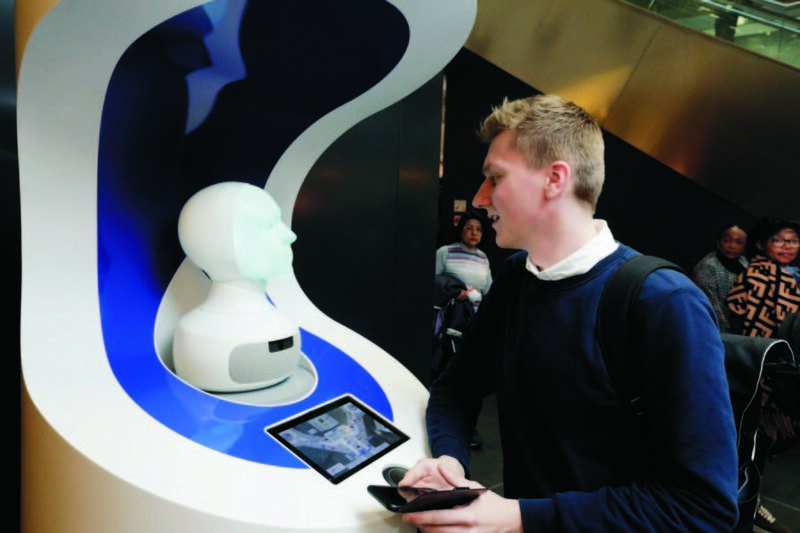 These machines have incorporated facial recognition technology, which eliminates the need for manual identity checks by staff and enables the automation of processes and checks for the departure journey. This helps to address long-term manpower productivity concerns. As such, check-in agents can be re-deployed for other airport roles. For traveling passengers, it will mean shorter queues and greater flexibility to check in at their own convenience using the self-service check-in options. Airports have their own set of challenges to overcome, including flight delays, unpredictable events, and inefficient use of resources. Better collaboration among airport stakeholders is the key to overcoming these challenges and an Airport Collaborative Decision Making (A-CDM) technology can very well be a key enabler in this respect. This technology will provide the airport with accurate information on aircraft arrivals and departures to minimize delays and increase capacity. It syncs up airports, airlines, ground handlers and air traffic controllers on the same collaborative platform to work more efficiently together. • For airport operators – reduced environmental impacts such as noise and emissions, improved punctuality, improved gate planning, stand planning and management. Illustration 1: ‘Me-centric’ passenger using her mobile device to communicate with other kiosks and smart sensors – an important factor to consider when planning for Airport Interface Systems. With all systems integrated at the front end to serve discerning travelers, it is important to also provide a robust infrastructure to support successful roll-out of integrated facilities management. A good IT masterplan, coupled with knowledge on how different systems interact and complement one another, will help in keeping good records on maintenance and ensure sustenance of the business. The airport scene will not change dramatically even if such a vision comes to pass. An airfield will always be a necessity for the aircrafts. The airport retail model will, however, evolve. The following section will explore how consumer behavior in air travel has evolved, and how it has affected the way smart airports pan out. We discussed the importance of integrating passenger systems to capture demographical needs. 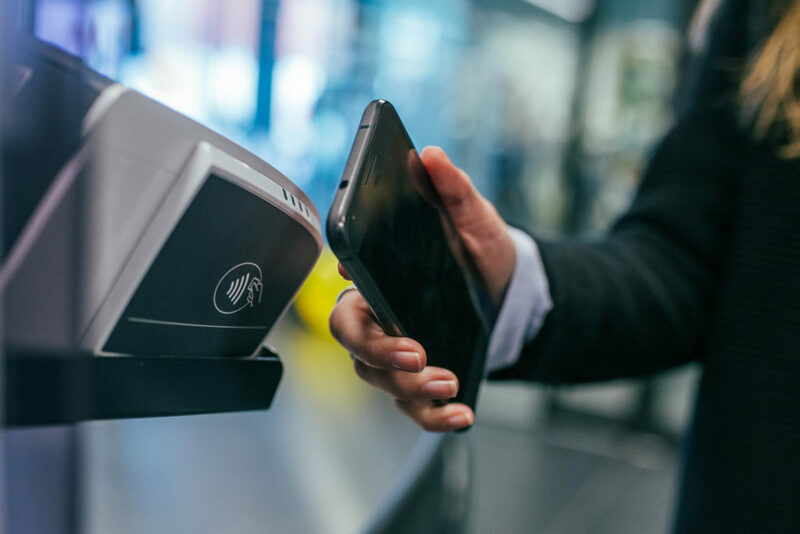 When planning around these systems, a huge population of the “me-centric” passengers (Illustration 1) use mobile devices to communicate with other computers, kiosks, smart devices and sensors to enable seamless, safe and secured transactions. Airport interface systems need to be consistent and simple, so the me-centric passenger can switch between devices and have the option of speaking with a virtual agent at any point in the airport. The growth of the middle class, with its additional discretionary money to spend on leisure and entertainment, means that they are explorative and will be open to new travel experiences. The new middle class may be led by Generation Y, better known as the millennials. While the millennials make up the majority of global travelers, they are also making huge purchases online – Amazon, Alibaba, etc. This begs the question about whether there is a need for shopfronts at the airport. To give the retail experience a more tactile holistic approach, shops in airports could be converted into experiential centers as opposed to mere transaction venues. Airports can even have a dedicated space for pick-up of goods ordered online. Millennials also want to be able to personalize their purchasing needs and travel options. Investing in a robust customer relationship management (CRM) system that provides a 360° view of customers – with better integration of data related to traveling and spending – may very well be the airport’s long term business model. The fact that today’s population is living longer also means there will be more seniors (older than 60 years) traveling. Airports of the future will need to cater an ageing population. The ageing population will have decreased mobility and the inability to cover long distances. 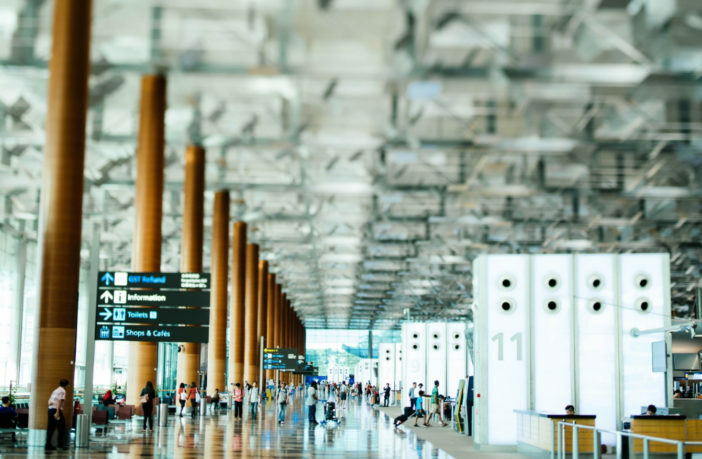 Airports will need to build seamless connectivity within the terminals, and review walking distances between touchpoints even as terminals become larger in size. At the same time, smaller details that cater to the ageing population, such as incorporating larger purpose-built public washrooms, will need to be considered. As aviation planners gather feasibility studies based on consumer behavior, travel patterns, flows and processes, the basic rule of thumb is to remain flexible to changes and make adjustments where required. Citing the example of Singapore’s Changi Airport, will the airport remain as a key transfer hub, or will there be more planned inbound/outbound flights to cater to increased air travel demands within the APEC region? Singapore, as a key location for global business exchange, has transformed dramatically from the days when Changi Airport was first opened. How will new business trends affect Singapore’s status as a hub, and how should we implement terminal design that is modular in nature to facilitate nimble operational adjustments to traffic size and mix? Moreover, with the advent of broader mobility developments such as self-driving vehicles, how should the airport design be sufficiently forward-looking and flexible to seamlessly integrate with such new technologies in the longer run, which are critical aspects of building a holistic aviation ecosystem? All these factors will influence planning and design of the future airport. Caspar Baum started as a senior airport developer, gaining extensive experience in the aviation industry by undertaking a range of projects from new build airport facilities, optimizing existing facilities and operations, as well as preparing airports for special events such as the Olympic Games. Educated as a professional architect, Baum’s focus is on airport terminal facilities and aprons including masterplanning, sizing, facility space programs, processing and performance requirements. Baum also operates passenger terminals for special events and peak operation and has been involved in major airport transactions over the last decade such as Athens International Airport, Sydney International Airport and the privatization of the Portuguese Airports of the ANA Group. Baum joins Surbana Jurong (SJ) as the director for aviation. He acts as lead interface and integration manager for SJ’s participation in Changi Airport’s Terminal 5 project. 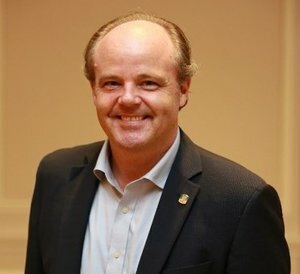 He has been a member of AsBAA for many years and joined the Board of Governors in 2017 with focus on Singapore and SE Asia, prior to which, he was head of aviation Asia-Pacific for EC Harris/Arcadis for five years. He held key projects such as Beijing’s New International Airport at Daxing, Hong Kong International Airport and Kuala Lumpur International Airport.